Much of our understanding of the origins and early development of the Greek architectural order is based on the writings of ancient authors, such as Virtruvius, and those of modern interpreters. Traditionally, the archaeological evidence has been viewed secondarily and often made to fit within a literary context, despite contradictions that occur. 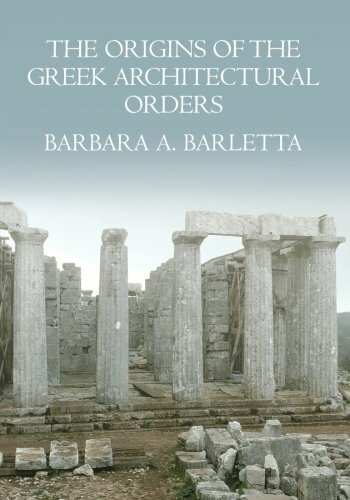 Barbara Barletta's study examines both forms of evidence in an effort to reconcile the two sources, as well as to offer a coherent reconstruction of the origins and early development of the Greek architectural orders. Beginning with the pre-canonical material, she demonstrates that the relatively late emergence of the Doric and Ionic orders arose from contributions of separate regions of the Greek world, rather than a single center. Barletta's reinterpretations of the evidence also assigns greater importance to the often overlooked contributions of Western Greece and the Cycladic Islands.